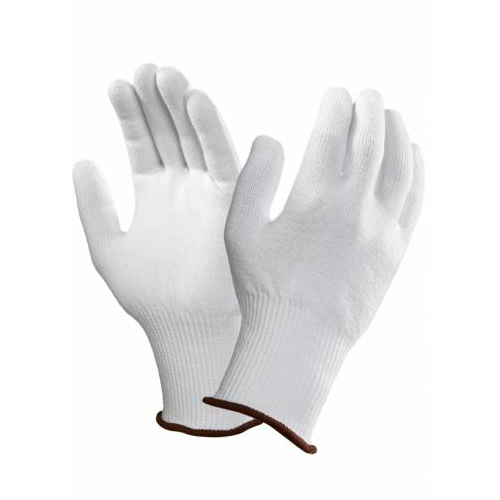 Designed to provide excellent thermal insulation, the Ansell ProFood 78-100 Thermostat Knitted Thermal Gloves are specially developed to facilitate rapid perspiration elimination through fibres to maintain body heat. Furthermore, their dexterous design makes them ideal for highly tactile applications such as those found within the food industry. The Ansell ProFood Thermal Gloves are available in two sizes that should suit the hands of most users. Please measure the circumference of your hand around the knuckles (excluding the thumb) with your hand open and your fingers together, and the length of your hand from the tip of your middle finger to your wrist.